We count ourselves incredibly lucky that Waldridge Fell forms part of our Parish. Waldridge Fell is a Country Park, Site of Special Scientific Interest (SSSI), Open Access Land, is UK Woodland Assurance Scheme certified and is a Local Wildlife Site. 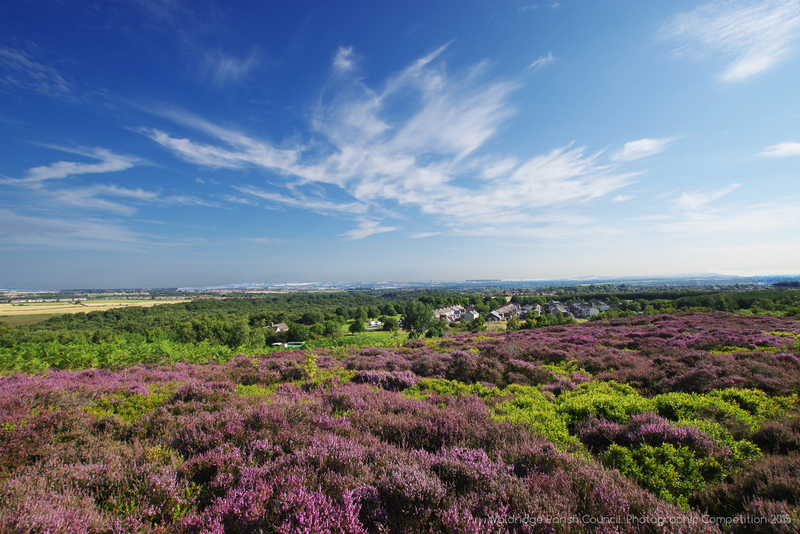 Habitats include lowland heath, wetland, woodland and grassland. The fell boasts five car parks, two picnic areas, and has many different options for exploring, including waymarked routes for both walkers and wheelchair users. Waldridge Fell, one of Durham’s last remaining areas of lowland heath, has some new residents. A number of highland cattle are now on Wanister Bog as part of an ongoing conservation grazing programme. Wanister bog, a Site of Special Scientific Interest, has been drying out over recent years and is in danger of losing its special plants. Preparation began early in 2010 when a bund was installed to retain water. Afterwards Countryside Rangers and volunteers helped to install fencing and a corral to contain the cattle. Now the cows can get to work. The combination of their heavy weight and their constant eating breaks up the thick layer of grass meaning the area will get wetter. The bare earth which is exposed will allow wildflowers to seed. And dont worry about the wet and dirty conditions – Highland cows will quite happily sit belly deep in water! The docile breed of cattle will graze the bog over the winter. The public will still have access to the site, however, please remember to keep your dog under close control. Follow the link www.durham.gov.uk/countryside for more details on Waldridge Fell Rangers.